Wild Violets and Plantain growing on a path by the front door; handy place to have them! Plantain makes the best “spit poultice” for bug bites and stings; stops the pain immediately. Simply chew a leaf, apply to the area and secure with a band-aid or gauze strip. Violets are a pretty and nutritious addition to green salads. You can also make a lovely syrup that can be used for all kinds of tasty treats and refreshing drinks. In addition, both herbs can help with a cough. 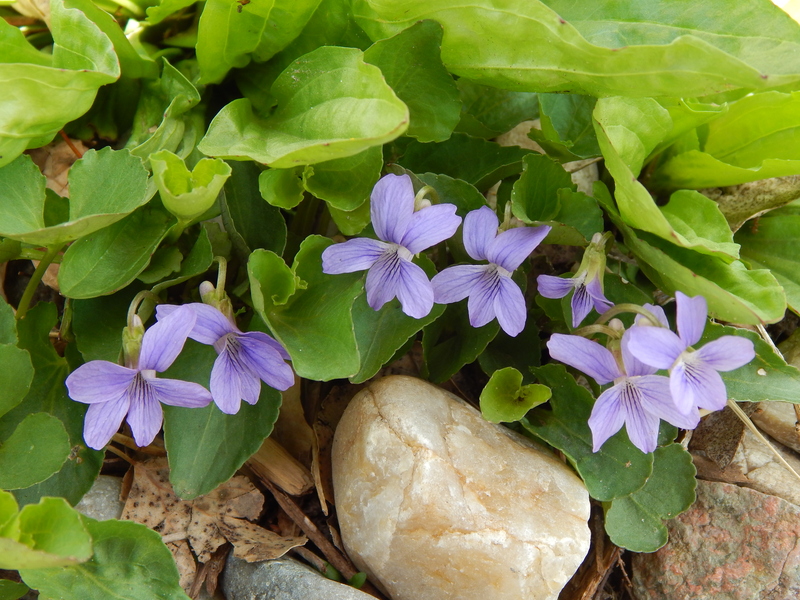 Violets are a demulcent for dry coughs and Plantain is a relaxing expectorant. Worthy weeds, indeed!